Home » Bur Dubai , Burjuman Centre , Carino's , Carino's Italian Grill , Date Night , Dinner Date , Italian restaurant , Peca-Crusted Chicken , Restaurants in Dubai , Tuscan Ribeye , UAE » Hello again, Carino's! One weekend, Ed and I had a boring night at home. We went window-shopping at Burjuman Centre to console ourselves. 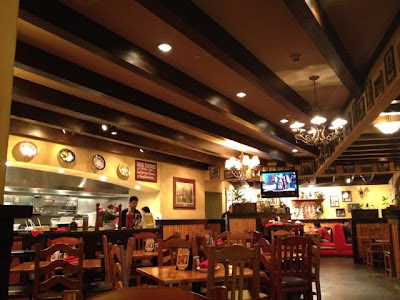 Then, out of the blue, we decided to have our dinner at Carino's. It's been over a year since we had our meal at the Italian grill. We love Carino's, but we often forget that the restaurant exists at Burjuman due to its hidden location. Carino's Italian Grill is at the junction of the business center and the shopping mall, away from the retail shops, secretly waiting to be discovered! One of the things I adore about Carino's is the homey ambiance. 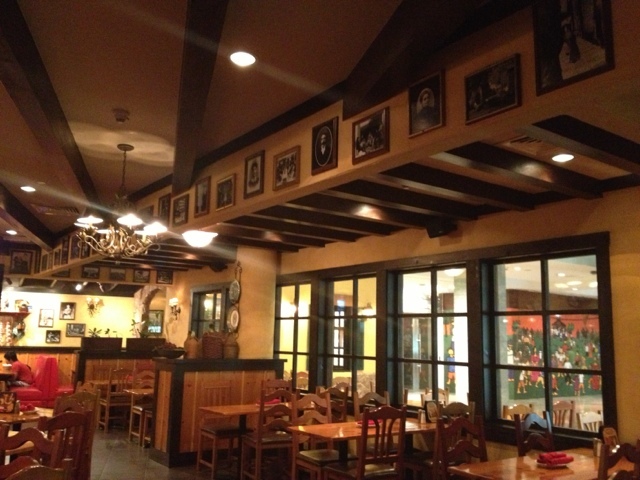 The large windows, wooden furniture and photos on the wall create a pleasant atmosphere for casual dining. 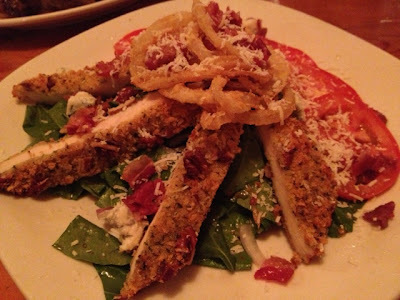 I couldn't believe I spent almost 2 years without the taste of Carino's delectable dishes! The one I missed the most! On the salad menu, we chose the savory Pecan-Crusted Chicken. The Tuscan Ribeye marinated in herbs and spices was flavorful in every bite. 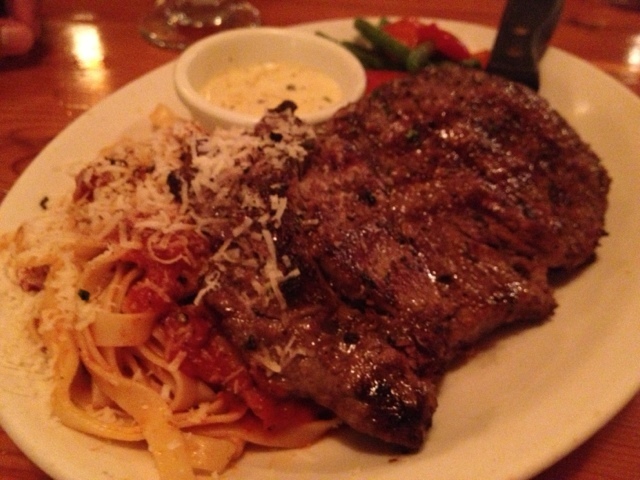 The serving comes with a delicious Italian pasta. It was a huge mistake for me to leave my discount coupons at home. We should have gotten 25% off the total bill. Well, another lesson learned. From now on, I will be carrying the coupons in my pouch wherever I go. Who knows, another random night might turn into a dinner-date night. The place and the menu look great! :) Dining in such a lovely place is a great way to bond with a loved one. You're right, it's a great way to bond! A date night is a great way to end the busy week! Thanks for dropping by Terry! I have the same problem with coupons. I keep leaving them at home. :P Hubby suggested that I get a separate wallet for the coupons so I can always carry them in my bag. The place looks homey indeed and the dishes look so yummy. oh this restaurant is memorable to us as a couple. It was the first proper restaurant we entered in 2007. Back then they offer the most sumptuous calzone. I don't know why they removed it from their menu haha. or is back already? it's been years. by the way, i would like to invite you and your readers to join my blog giveaway. Up for grabs is one hour Luxury Facial Spa from Azur Spa worth 200AED. Thank you in advance for joining! The food looks good and that looks like a real cosy place for dinner.